More Ukrainian first-person weirdness is on the way thanks to THQ, which has signed up to publish the post-apocalyptic shooter Metro 2033 from 4A Games. Metro 2033 is set in near-future Moscow - the year 2033, as you may have guessed - in the aftermath of a world-ending cataclysm which has driven the Earth's few survivors underground. Taking on the role of Artyom, who has grown up in the subterranean mazes of the Moscow Metro subway, the player is forced outside by a "desperate event" which launches him on the game's central quest. The game was originally announced in 2006 at GamesCom, while an updated trailer has been posted at metro2033game.com. Both videos have a very strong S.T.A.L.K.E.R. vibe and that's no coincidence: The Kiev-based 4A Games is made up largely of veterans of S.T.A.L.K.E.R. studio GSC Game World. 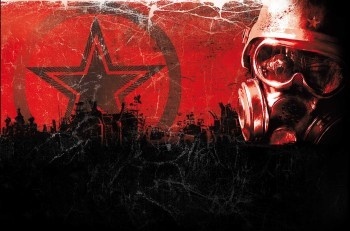 Metro 2033 is based on Dmitry Glukhovsky's popular novel of the same name, which has sold "hundreds of thousands of copies in Russia" according to Eurogamer, but not much else is known. Comparisons with S.T.A.L.K.E.R. - which, for the record, is the most awesome Ukrainian FPS set in a fictionalized version of the Chernobyl Exclusion Zone ever - are inevitable and if it can hold its own then it should be a very good game indeed. Metro 2033 is currently scheduled for release in 2010 on PC and the Xbox 360.